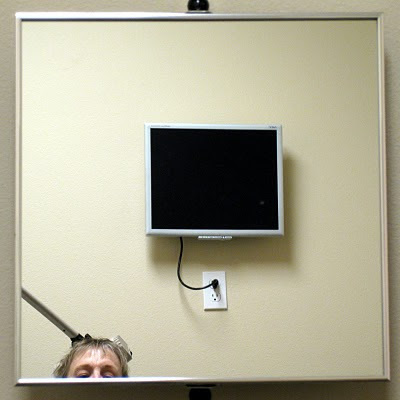 Help, I'm trapped in the mirror, at the optometrist office. Shoot Me! is hosted by Carin, of Forever in Blue Jeans. A woman after my heart, since I live in jeans, too. I'm glad to hear the explanation because I was afraid that something was stuck in your head, LOL!!!!!! Too funny! That is a really cool shot! fun and such a creative shot!